The former Ireland international is not happy. Keith Fahey was one of the players who featured in the FAI Cup final last weekend. ST PAT’S MIDFIELDER Keith Fahey has hit back at recent suggestions by Roddy Collins that he was embarrassed by the standard of last weekend’s FAI Cup final. The former Birmingham player made his feelings known in a series of tweets this afternoon, claiming that he could “play League 2 football with my eyes closed”. Collins previously relayed comments made by John Still, the manager of League 2 side Luton Town, who was alleged to have said that not one of the players on show at the weekend could get into his team. Email “'I'd play League 2 football with my eyes closed' - Keith Fahey hits back at Roddy Collins' claims”. 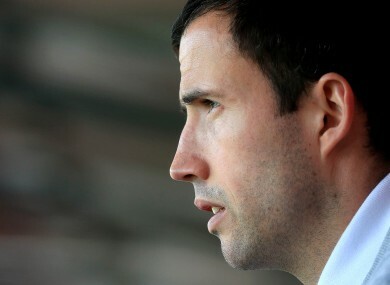 Feedback on “'I'd play League 2 football with my eyes closed' - Keith Fahey hits back at Roddy Collins' claims”.